Micro trends are driving change – changes in the HR technology landscape, the way we work, and particularly, the changes in how organizations are being managed and are managing. The world of HR and HR tech is undergoing a significant shift. HR is now over Cloud, Social and Mobile – this is the time for a new breed of systems - intelligent platform strategies that are making HR and its processes real-time, productive, agile and data-driven. But “Nothing in technology makes sense unless its aligned with the business problems we are trying to solve” as Josh Bersin says. 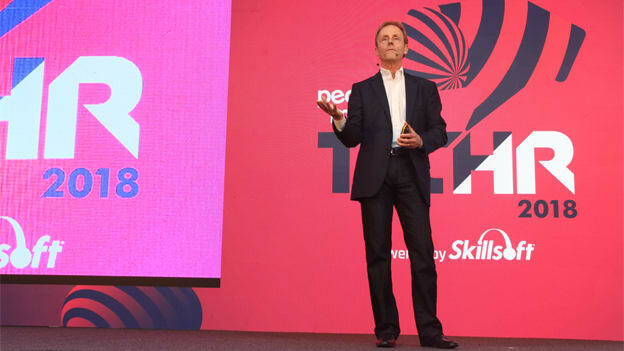 Here are a few insights on HR tech trends from Josh Bersin’s session at TechHR’18. Technology, Automation, Robotics are here and they work! According to Bersin’s research, 45 percent of companies are still focused on basic process automation. The business ecosystem is almost a decade into the economic growth, and has a plethora of generations working together in it. We are living longer, the average career spans 70-75 years, and technology is disrupting where we work along with our daily lives. Most of HCM trends, technology, robotics, AI, automation, is actually becoming real. However, we don’t know what to deal with it all because most companies are still struggling with the challenges of the right skills, structures, organizational design, and rewards systems. Productivity is lagging. The real key for HR going forward is becoming the Chief of Productivity. If employees use products and tools that the organizations provide to them, employes will feel better, happier, and engaged. And this is the secret of what is going to happen to HR technology – building systems for the HR that make people productive. With agility, team-centric organizations, burnout is becoming an issue while employee engagement and communication tools are overwhelming employees. This is the time for businesses to build HR software that really improves productivity and helps teams work better together? Business as a social enterprise! CEOs are now being asked to take social positions on topics and act on behalf of communities, stakeholders, shareholders, and employees and customers. The future of business is in becoming a socially conscious enterprise and here, the most important thing would to be to develop a technology strategy that provides purpose, meaning, transparency and fairness. Businesses can no longer afford to buy technology that implements practices that someone else coded. Continuous performance management is transformative. It really and truly works! Ratings will not go anywhere but the crucial part will be to build newer and continuous processes for goal setting, coaching, evaluation, and feedback. This is time for organizations to reconsider performance philosophy. Even with the success of the cloud HCM vendors in the market, a comprehensive solution for performance management is not available. “Team-centric” tools will be the future of HCM market in the future. Most of the ERP vendors are struggling to keep up with the evolution and changes in the business ecosystem. ERP vendors are not getting good marks for ease of use, integration, or value to the end users or employees. There is a stiff competition in the ERP market and it is becoming crowded. The whole idea of Talent Management was about pre-hire to retire. But we don’t work like that anymore. Most of us work at many companies during our careers and organizations are also going through change, disruption and reorganization. Managing employees through the entire lifecycle is not really the problem but managing employees in a new management environment that is about teams, empowerment, mission, purpose, clarity and transparency of goals. It’s a totally different management environment and we need tools to deal with that. The most disrupted area of HR to come is the way we pay people. Only 1 in 5 companies believes that their rewards system is actually aligned with their corporate strategy. We are still paying people the way we did in the past — salary bands, annul reviews, policies of secrecy and who is getting paid what – all this will be disrupted and we will have a whole new set of tools for employee experience. Corporate Learning is the real deal! Platforms like Degreed and Edcast are transforming corporate learning — experience platforms, micro-learning platforms, modernized LMS systems, AI-based systems to recommend learning, find learning, and deliver learning, and Virtual Reality-based learning are giving employees and organizations all the things they need. It’s all about the moments that matter. There is a need to improve productivity but there is a significant impetus on employee wellbeing, reducing the cognitive overload and augmenting human performance. This vendor market is moving fast. The new world of work will be about “engagement, productivity, and wellbeing” all in one. With the explosion of HRMS data, wellbeing data, networking data, among many other forms of structured and unstructured data, HR is struggling to deal issues of ethics, privacy, and becoming more transparent about the analytics they are doing. The Organizational Network Analytics is growing and so is a new world of “relationship analytics”. People Analytics will guarantee success. Employee experience is the buzzword and we are trying to reform it in a way that applies and improves the work experience of every individual in an organization. Organizations define employee experience as a project of looking at the moments that matter, transitions, periods of time in career where one is stressed and what can HR do to make that easier. But none of the tools are designed to measure or map something like this. All tools are designed for the HR function, not this. There is a new category of software being built to help HR with the employee experience - to shield employees from the complexities of the backend HR systems and deliver all the different things the HR does in the flow of work. NEXT STORY: Can HR really fail fast to deliver better output?